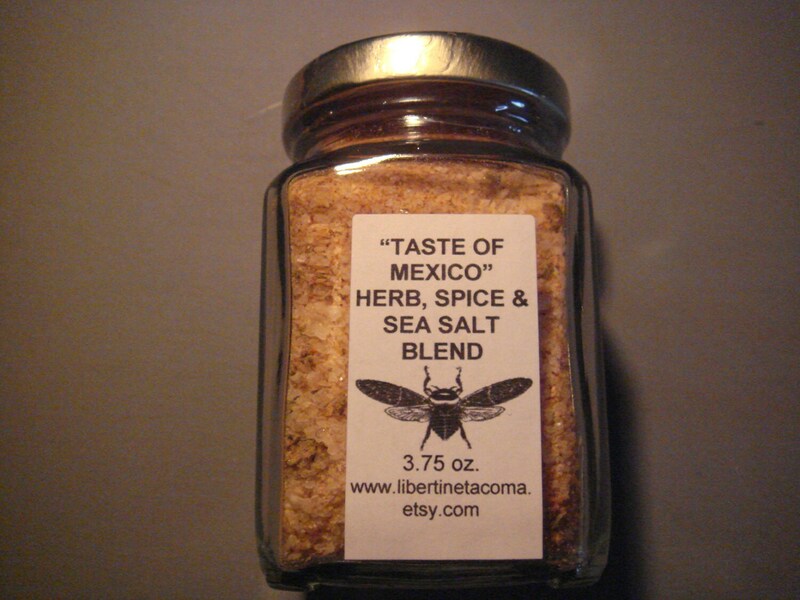 “Taste of Mexico” Custom Gourmet Herb, Spice & Sea Salt Blend is a deliciously flavorful combination of traditional herbs and spices found in authentic Mexican cuisine. This blend brings together Anaheim chilies, Mexican Oregano, Cumin, Garlic, Onion, Coriander and a hint of Cayenne pepper so that you can bring the flavors of Mexico home to your kitchen. The glass jar featured in the photos is 3.75oz by volume and has rounded corners and tiny little feet on the bottom corners. It is easily stackable and stored. Labeled for ease of use. There is a detailed description and suggested uses card that comes with it. This would make a great gift for you or for family and friends. 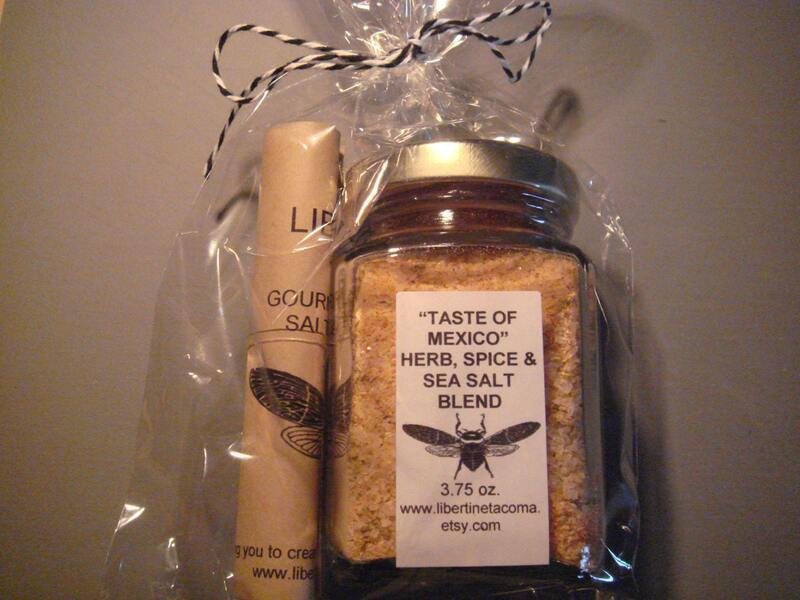 Beautiful artisan salt beautifully packaged. The lid will cling to a magnetic surface. Be sure to fully tighten it so it is secure and airtight. This blend can be ordered in a variety of sizes. The resealable bags are filled by weight and the glass containers are listed by volume. Refill bags/pouches are filled as the refill for the container specified. Generally the ingredients weigh more than the volume so weights will vary by product. 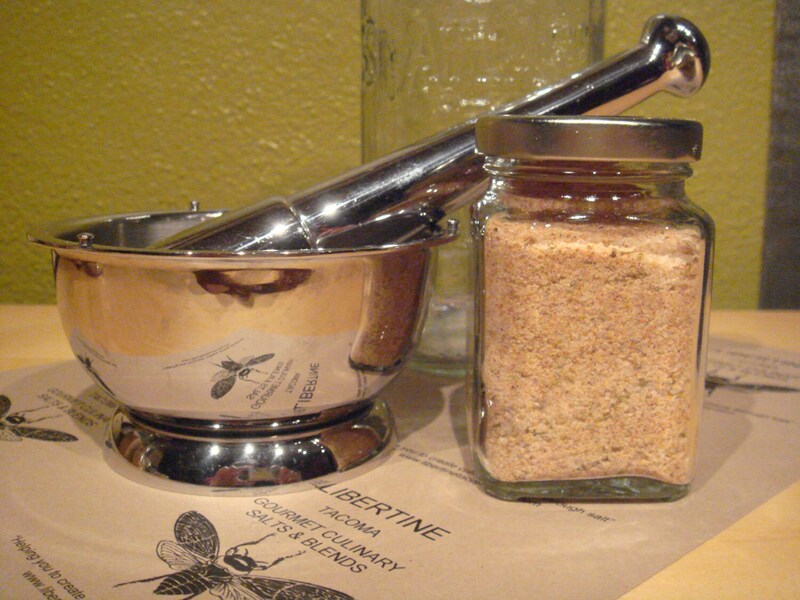 Liberte Du Monde Gourmet Culinary Salts & Seasoning are all natural, vegan (unless noted otherwise), and additive free. No anti-caking agents are used as they can potentially be hazardous. 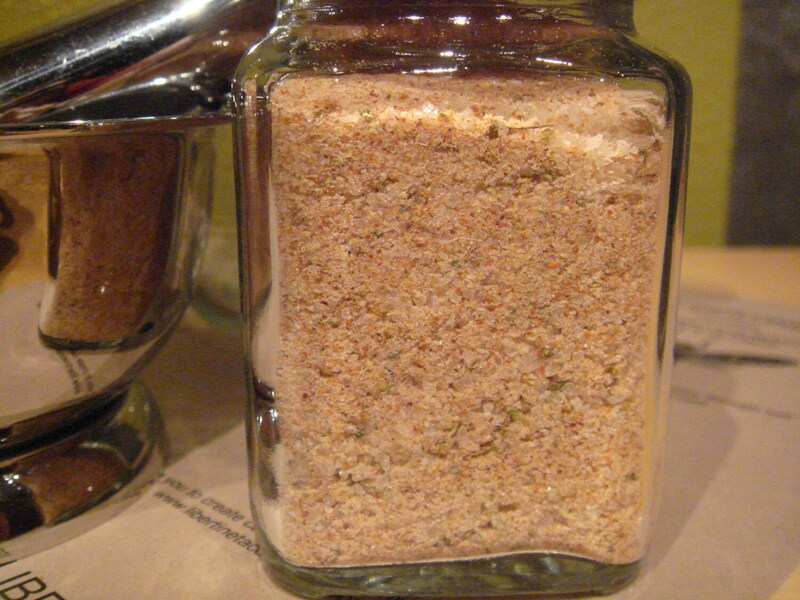 If your salts or blends become “clumpy” just keep the lid tight and shake them around before using. Please store in a cool, dry place out of direct light and heat.